I was completely off my game the day I made this photo: I didn’t even look inside the font. 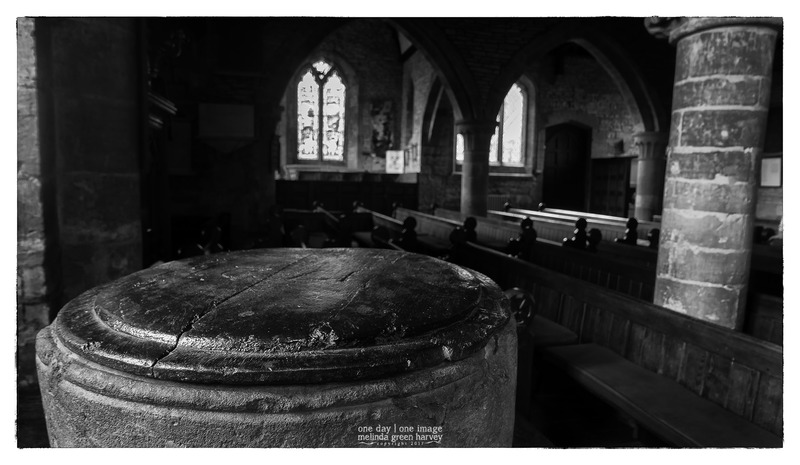 Posted on June 29, 2017, in Photography and tagged 365 photo project, architecture, black and white photography, Bretforton, Bretforton UK, church, england, learning to see, Leica, melinda green harvey, monochrome, one day one image, photo a day, photography, postaday, St. Leonard's Church, thoughtful seeing. Bookmark the permalink. 2 Comments. I was looking for letters. Duh. Nice photo though!